Further birch clearance at Tidenham Chase. This time we concentrated on the south side of the reserve. 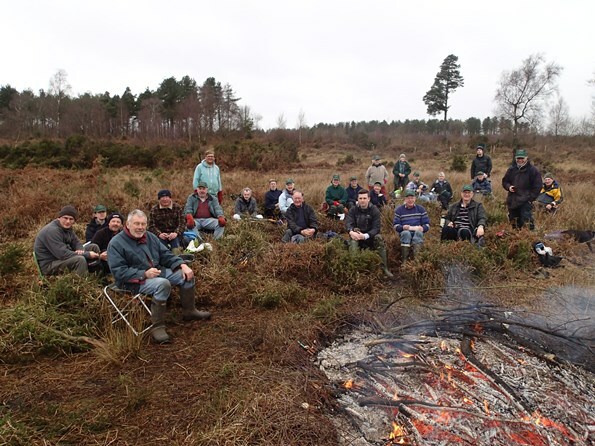 There is now a large area of heathland which we had cleared and sprayed in previous years. It was interesting to note that the areas which had been sprayed with herbicide had no new birch growing. However, there was a lot of young birch sprouting up in an area which had not been previously sprayed so this was our task today. 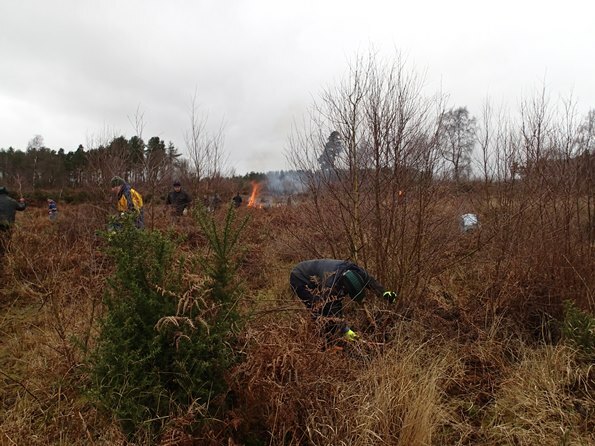 As you can see, a large team turned up today and we had three fires spread out to burn off the branches. Most of the birch we cut was only two or three years old but it was slowly encroaching across the site.